The media, and some members of Congress, continue to focus on President Obama’s use of “czars.” An article today by the Wall Street Journal’s Neil King examines how this dust-up highlights the ongoing challenge of how government is increasingly facing problems that reach across traditional agency and program boundaries. These problems include food safety, climate change, and the Recovery Act. There is no accepted institutional mechanism to manage these problems and President Obama is using a pragmatic approach – appointing someone to be in charge on his behalf. Reorganize. The traditional model is to reorganize government agencies and programs around a common mission or outcome. This approach is cumbersome and does not readily reflect a continually changing world. Examples of this approach in recent years: the Department of Homeland Security and the Office of the Director of National Intelligence. National strategies. About a decade ago, the White House began to use “national strategies,” mainly in national and homeland security policy areas. Under this approach, the President issues a “strategy” that provides an overarching strategic approach to addressing a particular cross-cutting issue. Examples include: the National Homeland Security Strategy, the Pandemic Flu Strategy, the National CyberSecurity Strategy. Sometimes someone was in charge (a “czar?”) and sometimes it was just a framework. Performance-Stat. Also about a decade ago, state and local governments adopted an approach initially piloted in the New York City Police Department called “CompStat.” CompStat is a management approach that regularly brings together top leaders and managers to work regularly together to use fact-based information to address operational issues reaching across agency boundaries. This approach, under various names, has been adopted in places such as: Baltimore (Citi-Stat), Maryland State Government (State-Stat), and Washington State (Government Management Accountability and Performance). It could be adapted to the federal level, as well. Delivery Unit. Developed in 2001 by British Prime Minister Tony Blair, this approach is a variation of Performance-State, but focuses on strategic issues. Blair identified 20 key outcomes that he wanted to achieve in his term in office, set measurable targets around each outcome, and charged his staff with ensuring strategies were in place and progress was tracked. This approach has been recently adopted in the State of Maryland to supplement its StateStat efforts. 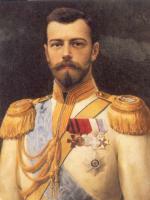 President Obama could use a mix of these approaches, including the use of czars. He has already designated a “chief performance officer” who would be the logical focal point for coordinating these various cross-cutting initiatives. However, this does not address one of the concerns raised by Congress: how does Congress ensure accountability? A Congressional Performance Resolution? Congressional jurisdiction is organized around the traditional agency and program paradigm. As Kettl notes, this paradigm is increasingly ineffective in addressing non-routine governmental functions. So how can Congress be an effective player? One recommendation offered by the Government Accountability Office is for Congress to adopt a “performance resolution,” similar to the existing budget resolution. A performance resolution would be organized around major national outcomes. It might parallel presidential “national strategies.” But it would, like the national strategies, define who is responsible for action on different elements of a broader agenda. It also means that Congress would not have to reorganize its committee structure in order to become an effective player in cross-governmental challenges.